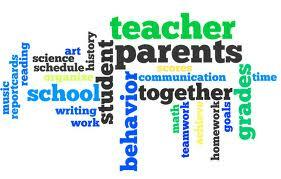 This page is updated regularly with useful advice for Parent Partnerships. If you would like to speak to someone directly please call the school on 020 7394 0088 for either Debbie Sycamore or Paul Stepton. We offer a service to parents and carers to make their first visit to our school a little easier. When making an appointment to visit for a first visit or initial assessment, we can arrange for parents and carers to be picked up from their home address and returned after their meeting. If you wish to take advantage of this offer please speak to Debbie Sycamore who will be happy to accommodate your request. Please note: This option is subject to the availability of our volunteer driver. One of our volunteers is a parent of one of our students and without doubt one of our success stories. She has had a wealth of experiences; some good, some bad; in bringing up her children and facing the challenges of supporting a child with Special Educational Needs. Barbara is now keen to share her experiences with other parents in order to help them to understand that there is light at the end of the tunnel. If you would like Barbara to come and talk to any of your clients we are happy to arrange this. Please call either Paul Stepton or Debbie Sycamore on the school number.